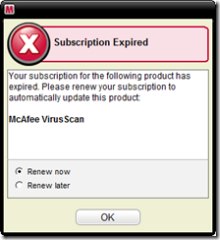 For those of you who, like me, received your laptop about one year ago, you may have noticed that your McAfee antivirus/security center subscription has now expired. That means no more updates to the virus database (and frequent, ANNOYING reminders of this from the program itself) unless you pony up the cash to resubscribe. HOWEVER, there is a better (read: “cheaper”) way. You can do like I did and uninstall McAfee entirely, and replace it with a good FREE antivirus program, like PC Tools Antivirus. Here’s how you do it: First, download the official McAfee program uninstaller. (Click HERE.) Double-click to run it. WARNING: this will entirely remove your McAfee protection and leave you exposed to viruses until you activate a new virus program. Don’t choose NOW to go surfing. Reboot when you are prompted to do so. At this point, Windows will probably tell you that you aren’t protected because you MAY not have antivirus software installed. Next, download your free program of choice. I recommend PC Tools Antivirus, as it runs well on my system, and takes up very few resources… in essence, it runs faster and slimmer than McAfee EVER did, and slows things down a lot less. Click HERE to download it. Double click the installer once it finishes downloading, and follow the easy prompts it gives you to install it. Protection begins immediately. I recommend hitting the SCAN NOW button when you see it pop up. 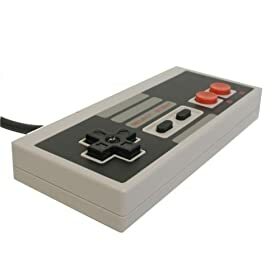 Now you’re all set! Happy safe surfing! Many thanks to the How-To Geek. Here is his article on PC Tools Antivirus. He also recently profiled several other FREE security software packages, so you can find one that suits you. Texas residents: Got Radon? Want to find out for FREE? A company in Carrollton, Texas is offering a FREE radon test kit (one per household) to Texas residents. It’s a little unclear who’s paying for all this, but I believe it’s partially funded by an EPA grant. Click HERE to order your free radon test kit. Click the big red button up there, already! Here it is. It’s a Publisher 2007 file. Have fun, kids. Click HERE to download the thing.